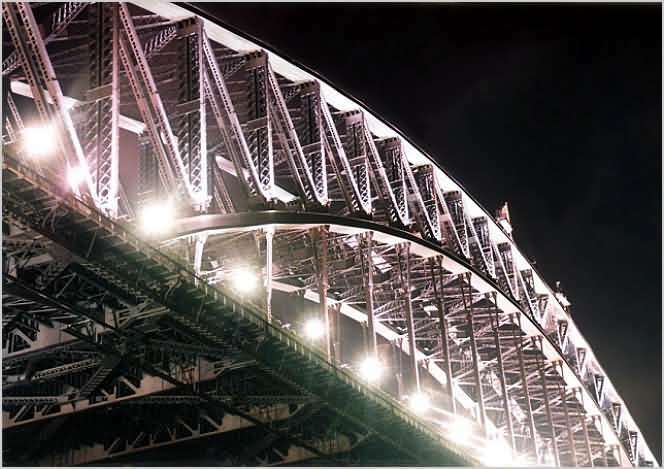 A night under the Sydney Harbour Bridge, Theme Thursday. The Sydney Harbour Bridge at night from the Rocks. Has to be one of the most beautiful sights you'd ever see. 8 second exposure using ISO 100 film. Theme Thursday contribution - Heavy Metal.